It’s the most wonderful time of the year! That’s right, it’s Christmas time which means the theme parks are going all out to bring you a fun filled holiday season. 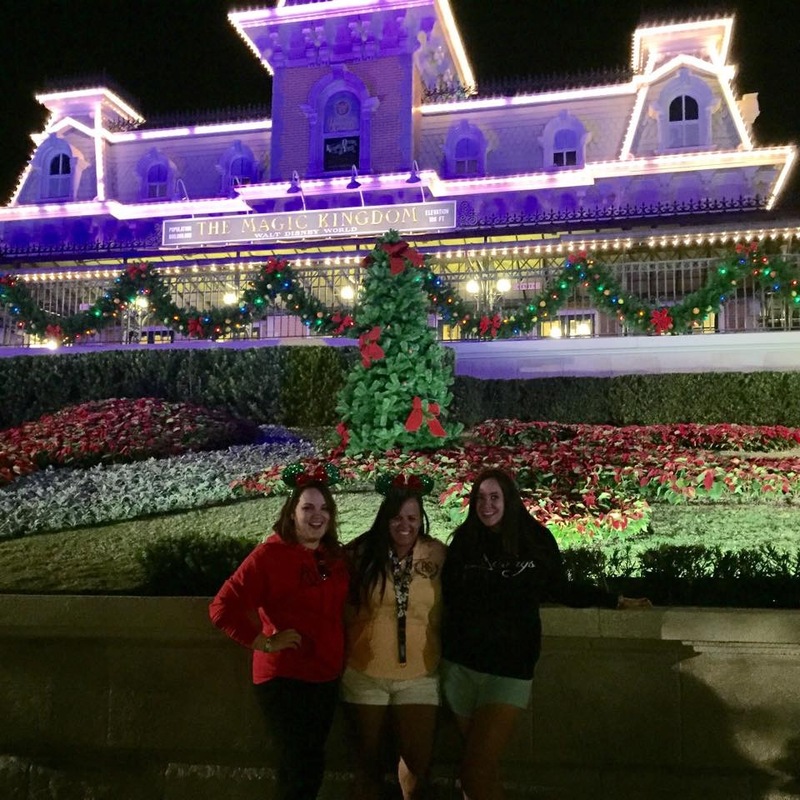 We thought it would be a good idea to give you the breakdown on what you should do around Walt Disney World this holiday season. 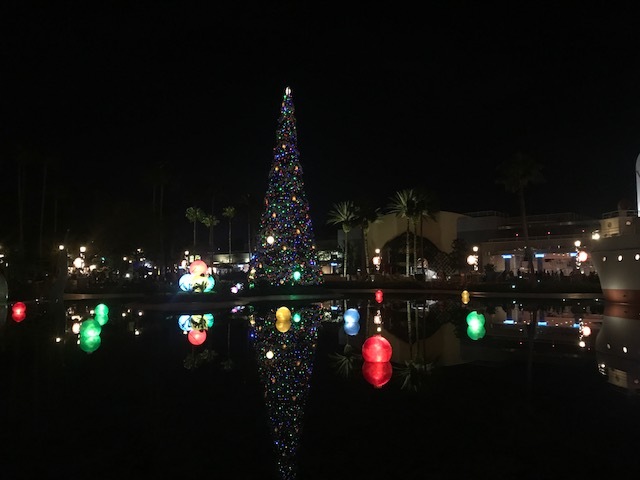 Make sure to keep coming back the next few days for more tips for the Holidays at Universal Orlando Resorts.Also make sure to check out yesterday for all your holiday must dos at Disneyland. 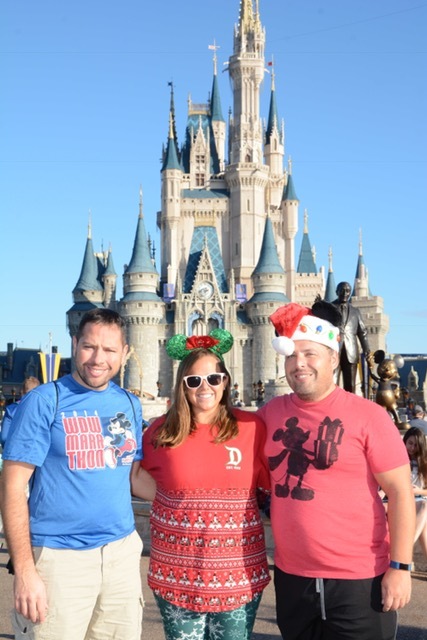 Make sure you read through some of our previous articles for a more in depth preview of all Christmas Must Do’s at Walt Disney World. Remember these articles are from years past and not all of the Christmas festivities exist around Walt Disney World anymore. Each park at Walt Disney World as a themed Christmas tree. You should definitely take some time out of your day to make sure you get a picture in front of them. Don’t worry they all have a photo pass photographer. Magic Kingdom’s is a classic Christmas theme, Epcot’s tree features decor from around the world, Animal Kingdom’s screams safari, and Disney’s Hollywood Studios is in the center of Echo lake and looks gorgeous lit up at light. 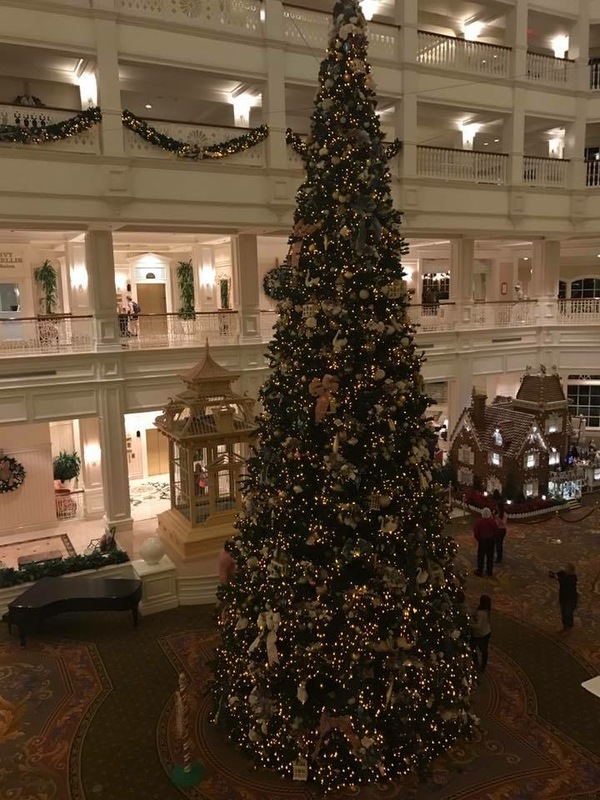 Also each resort at Walt Disney World has a different Christmas tree themed to the resort. You could definitely spend a whole day at Walt Disney World just looking for all the Christmas trees on property. 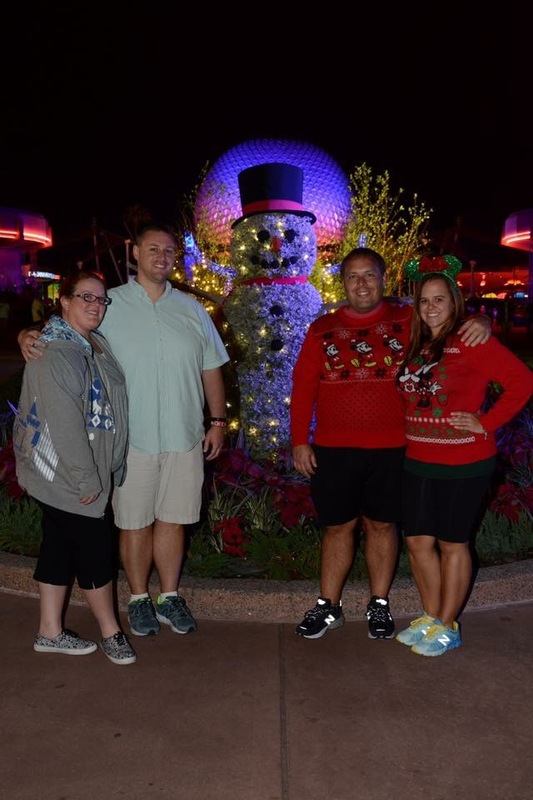 Disney’s Grand Floridian Resort also has photo pass in front of their tree. 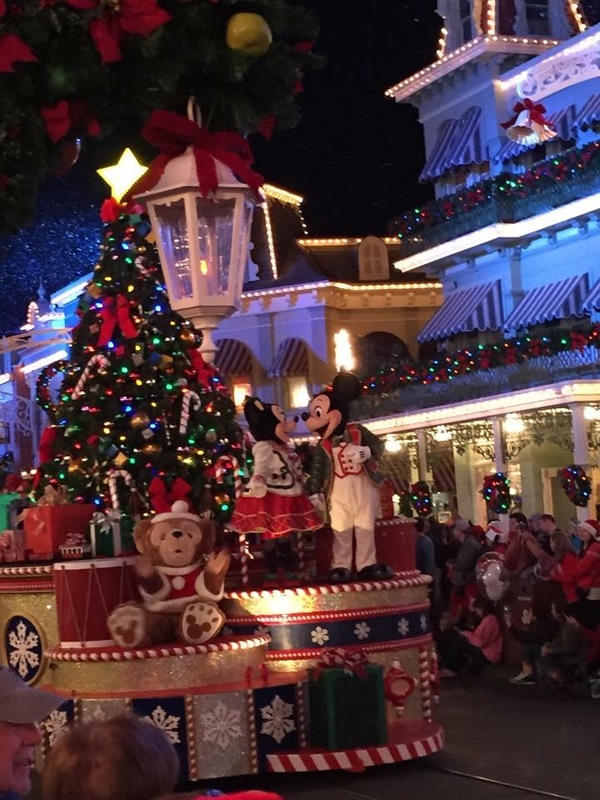 Mickey’s Very Merry Christmas party is worth the add on for your vacation at Walt Disney World. Even though the party runs from 7pm till midnight at Magic Kingdom with a party ticket you are able to get into the park at 4pm. There are Christmas cookies and hot chocolate offered throughout the park as part of the price of your admission. You also will get some rare character photos that you cannot get any other time at the parks. One of the best parts of the party has to be the parade. Can’t make a Christmas party night? Well if you’re looking to just see the parade you are in luck because it can be seen on a regular park ticket December 23rd thru December 31st. The parade runs daily at 12:00PM and 3:30PM. In years past Holiday Wishes have been the fireworks on December 23rd thru December 29th. 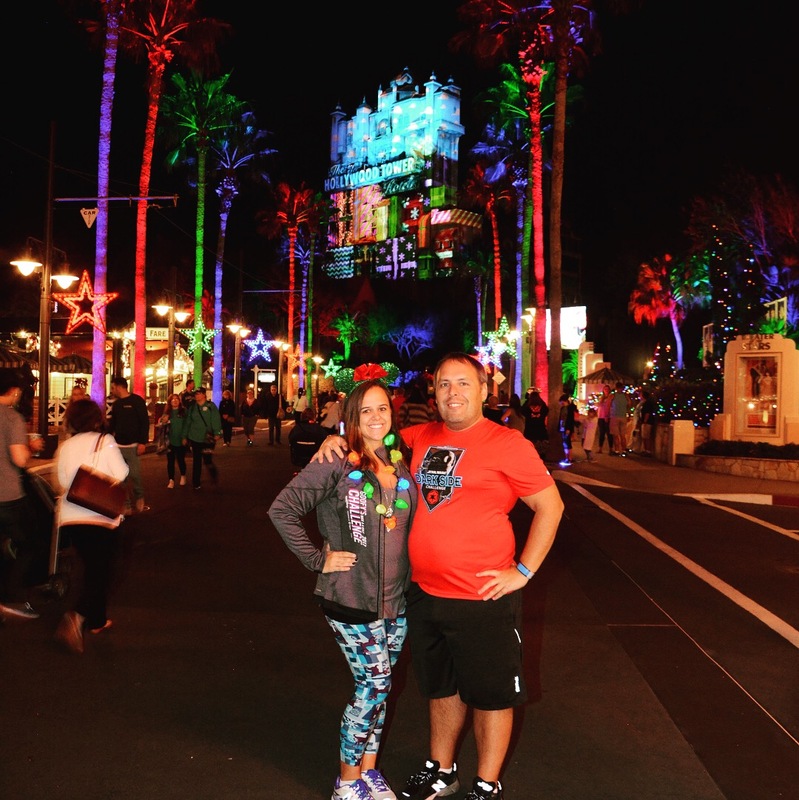 According to My Disney Experience it’s supposed to be Happily Ever After being shown, but keep checking back to see if it changes to Holiday Wishes. 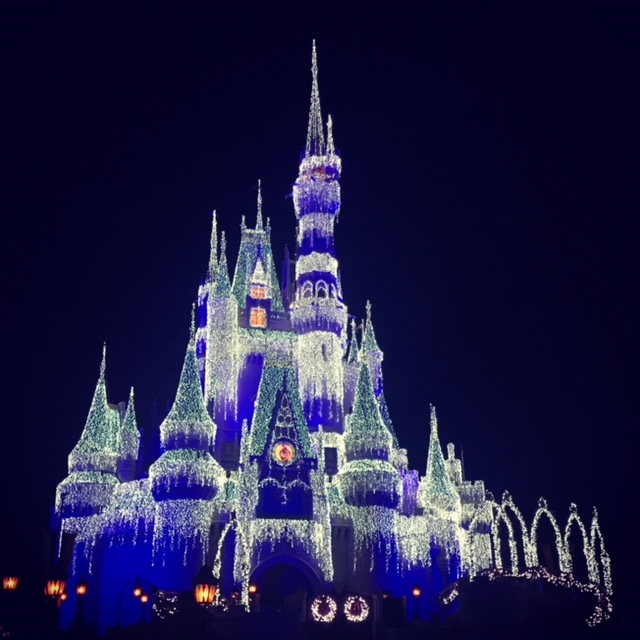 You may recall from our rankings of the nighttime spectaculars at Walt Disney World that Illuminations made one of our top nighttime shows at Walt Disney World. Well at Christmas they take it up a notch. After they show the traditional Illuminations at 9:30pm every night at Epcot they have an additional holiday tag at the end. 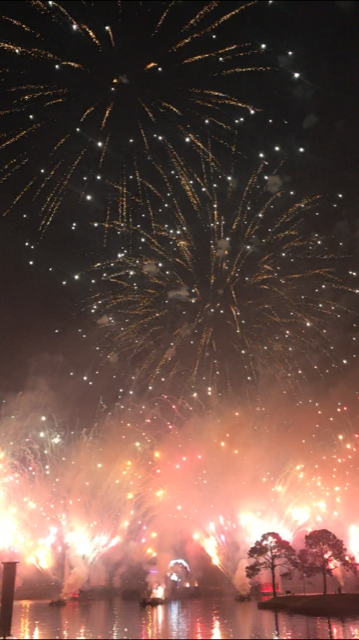 This tag features holiday celebrations throughout the world and is packed full of fireworks! If you want to see some of the most elaborate decorations at Walt Disney World you have to go to the resorts. Every resort is decorated but there are some hotels that are a must. Here are a few of the must dos…. 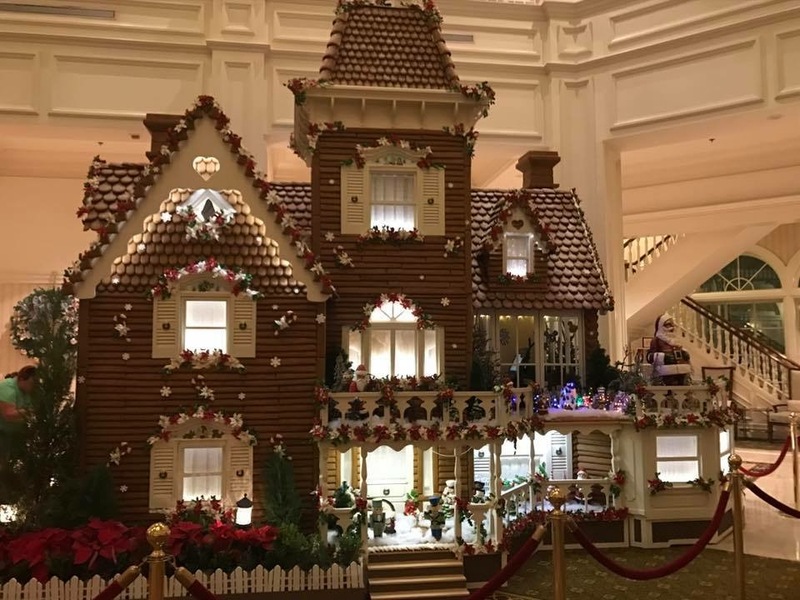 Grand Floridian has a life size ginger bread house where you can even buy some of the gingerbread to take home. Fort Wilderness has s’mores around the campfire and Christmas carolers. Beach Club has a gingerbread carousel that this year features Lilo and Stitch. The Contemporary resort has a Cinderella Castle gingerbread house. 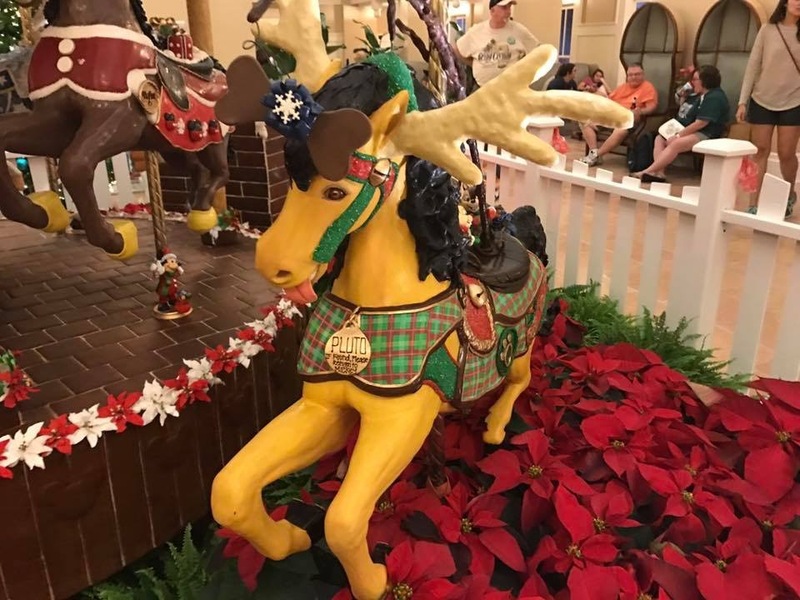 Walt Disney World apparently really likes gingerbread. With the loss of Osbourne lights at Disney’s Hollywood Studios the park was definitely lacking last year in their holiday spirit. This year they definitely upped their game. 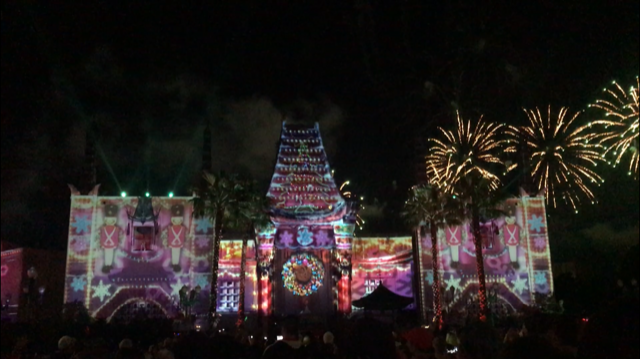 They brought back their holiday fireworks, Jingle Bell, Jingle Bam! which was much better this year with many more fireworks. 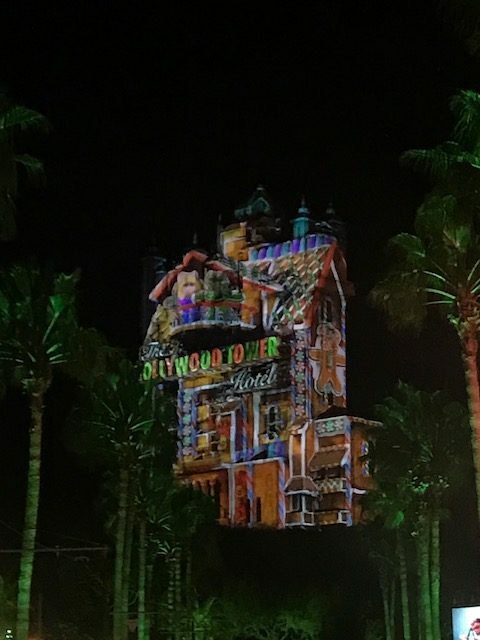 New this year they added Holiday Greeting on Sunset Blvd that is a projection show on to the Hollywood Tower of Terror. 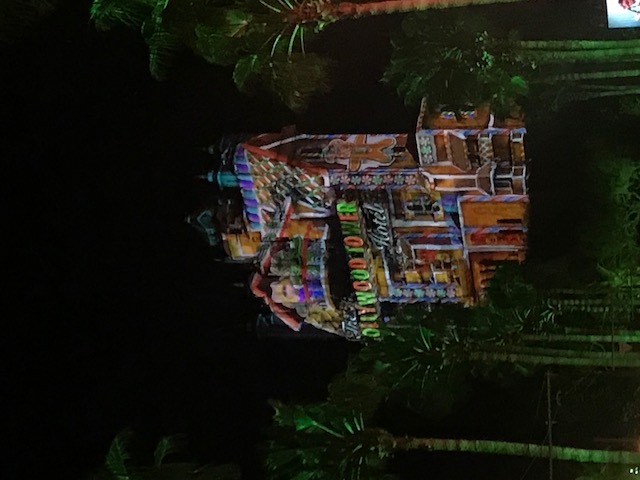 There are four different projections that play continuously starting with Toy Story, then Muppets, then Frozen, followed up with Mickey’s a Christmas Carol. This show is wonderful and runs throughout Fantasmic after the park closes. Also this year Disney’s Hollywood Studios has moved their tree from outside of the gate to right in the center of Echo lake. All around the lake is decorate for the holidays with Christmas classics, such as Rudolph the Red Nose Reindeer. The best part of the decorations has to be the light up baubles on the lake.